According to the Battlefront II Intel page on Twitter, EA said during an investor call yesterday that there will be a new Battlefield game in 2018, most likely in the fall. This is a very interesting time for the series, as well. Battlefield 1 is one of the biggest successes, both critically and financially, to grace a huge franchise in several years. 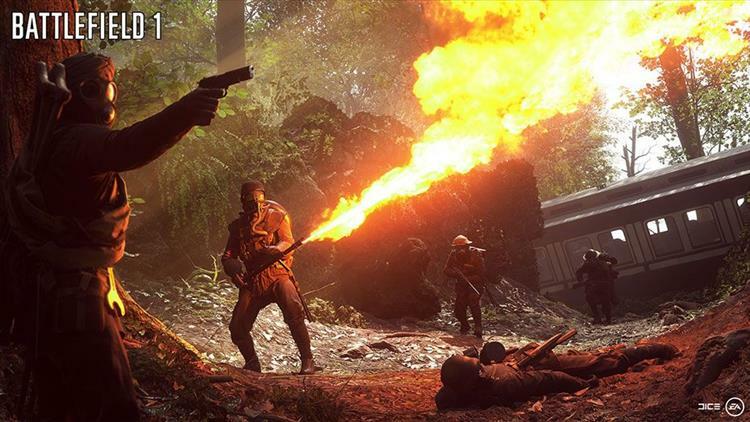 The FPS climate had gotten so bogged down in modern/near future warfare, and Battlefield 1 was a shock to the system that was desperately needed. The question now is where to go from there. I think perhaps the obvious answer is to go further down the same path; perhaps a Battlefield 2, set once again in WWII, or even Battlefield 1944. There's also the seemingly-abandoned yet much-loved Bad Company series that ended on a cliffhanger. With Call of Duty: WWII coming out so soon, all signs point to a genre shift to the wars of old, but as of now, it's really anyone's guess. Let's just hope that, whatever it is, it's as good as Battlefield 1.